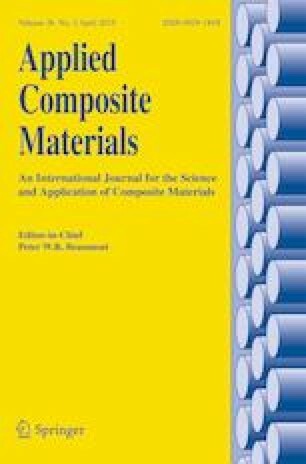 In this paper, a high-temperature test experimental system is built to investigate the dependence of the strength of a C/SiC composite material on temperature. Unintuitively, the strength increases with temperature. To investigate the microscopic mechanism, scanning electron microscopy (SEM) of an in situ bending test experiment is performed. Our hypothesis is that due to significant residual tensile stress in inter-fibre matrix, external loads reach the ultimate stress first. As the temperature increases, the matrix residual tensile stress decreases, a larger external load needs to be applied for matrix failure, which is exhibited macroscopically as increased strength. To prove this hypothesis, the inter-fibre matrix residual stress and its dependence on temperature are calculated via a finite element method. Next, using a SiC wrapper layer around a single C fibre as an experiment object, the finite element calculation is verified directly via micro-Raman spectroscopy. The authors appreciate sponsorship from the National Natural Science Foundation of China (11672340) for supporting this research. In addition, the authors declare that no conflict of interest exists in the submission of this manuscript.